‘If you can talk, you can sing!’ This is the motto of a new and innovative choir in Ireland that is doing a lot more than just creating a beautiful sound…. In a rural and sparsely populated area of north west Ireland, an intergenerational choir: ‘Choir of Ages’ or in the Irish language ‘Ceol le Cheile’ (Coming Together to Sing) has become a big success in the last year. 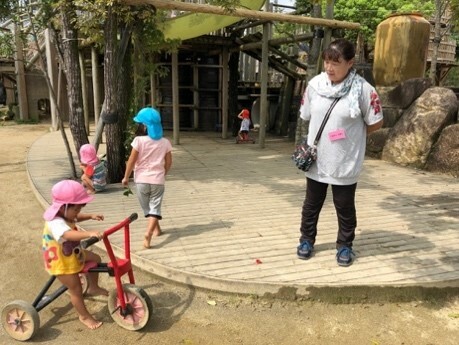 “Outdoor environments of early childhood care and education (ECEC) settings have the potential of bringing young children in touch with their neighbourhoods. If designed with this function in mind these can also become spaces of intergenerational play and learning”.